Six months after Oreo's release, how have Android device-makers done at getting the upgrade into users' hands? A sobering but important analysis. I'll go ahead and end the suspense for you now: Android upgrades are a big, hot mess — and the situation with Oreo is the worst we've seen to date. It's kind of embarrassing, actually. But it's important. And that's why I take the time to track manufacturers' performance in this area so closely year after year — because software matters. It affects your experience more significantly on a day-to-day basis over the life of a modern mobile device than any other feature or element. And yet, it tends to get the least amount of attention. To wit: Over the coming days, Samsung and other Android device-makers will take the stage to show off their latest and greatest wares. Their new phone models be plenty impressive, no doubt — gorgeously designed works of gadget art. We'll hear about every ever-shrinking bezel, every fresh feat of engineering, every new "smart" feature that sounds wildly impressive (but is bound to mostly fall flat in reality). You know what we won't hear a peep about, though? The manufacturers' commitments — or lack thereof — to supporting and updating all those smartphones after you plunk down your hard-earned cash to buy 'em. 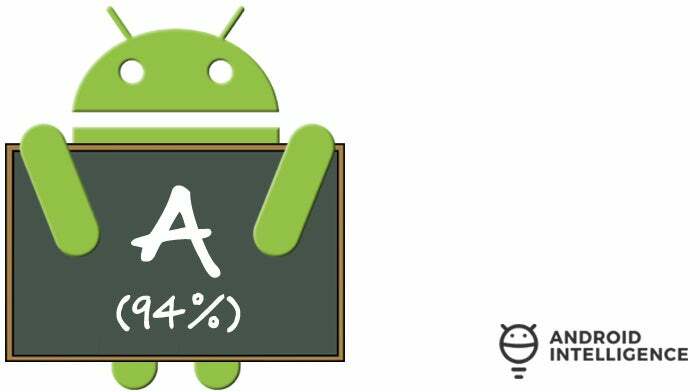 Most Android device-makers don't like to draw attention to that area, and for good reason. Guess what, though? Smartphones are expensive products that most of us own for two or even three years. And if you buy a phone from a manufacturer that doesn't make upgrades a priority, your device is going to be perpetually out of date and behind the curve in terms of both technological progressions and platform security. You may not be able to force a manufacturer to make timely and reliable ongoing upgrades a priority, but you can arm yourself with knowledge about how different manufacturers tend to approach post-sales software support — and then make an educated decision about what sort of upgrade experience you want (or are willing to accept) ahead of your next phone purchase. 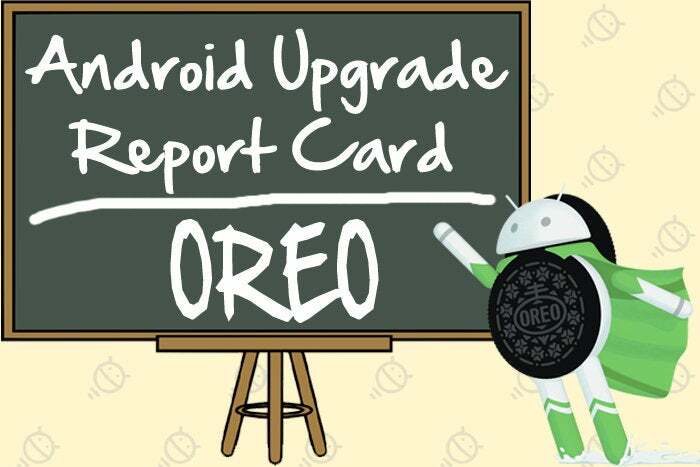 Now that we're six full months past the launch of the most recent major Android release, Android 8.0 Oreo, it's time to step back and look at who's making upgrades a priority and who's treating them as an afterthought. Brace yourselves, gang. This one's rough. With its Pixel line, Google officially became a full-fledged Android phone manufacturer. But even before, with its Nexus devices, it played the same role as far as updates go — acting as the sole provider of all rollouts and software-related matters. The results for that lineup are mostly good, though not perfect: The rollout of Oreo to original Pixel owners started on August 29, nine days after the software's debut. That's a bit behind Google's typical immediate rollout window, but it's still perfectly reasonable — and still well within the one-to-14-day range for a top-of-line mark in these scoring standards. Nexus 6P and 5X owners waited a bit longer, meanwhile, with the first confirmed general rollouts (not beta-tester-related) starting on September 7 and then spreading out slowly to more users over the subsequent weeks. On that note, we have to mention that Google, rather infamously, rolls out its updates "in waves" — which means some people end up waiting days or even weeks longer than others to receive the software. That's a deliberate process designed to keep unexpected bugs or issues from reaching large groups of users before they can be addressed. It can understandably be a source of frustration for eager device-owners in the later parts of the rollouts, but for the purposes of this analysis, it's the start of the rollout that counts. The real issue with Google's update performance — and it's one we see pretty consistently over time — is that the company's communication could stand to be better. Aside from its initial August 21 announcement that "carrier testing" was underway for all devices and rollouts would start "soon" — and then an equally vague August 31 tweet that rollouts had begun for "Nexus and Pixel" devices, in general — Google didn't provide much else in terms of official info about its process. That means users who were waiting were essentially in the dark, sometimes for several weeks, with no sign of the upgrade and no idea what was going on or how long the wait might be. A simple status report page with details about the state of the rollout for different device variations and regions would go a long way. 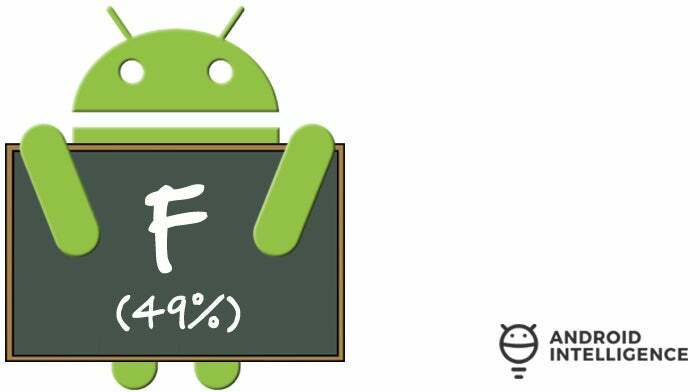 Between that less-than-stellar communication and the frustrations that sometimes result from its staged rollout process, Google's Android devices are by no means flawless when it comes to OS upgrades. Even so, they stand in a league of their own — without question the most reliable way to receive ongoing updates in a timely, if not always absolutely immediate, manner. No, you didn't accidentally skip over a section: The grades on this year's report card actually go from a single "A" directly to a "D." So while second place is usually something worth celebrating, I don't know that there are any real bragging rights to be had here. OnePlus — which is included in this analysis for the second year now, given its popularity among Android enthusiasts and its insistence that its devices are flagship caliber (and then some) — strangely provided Oreo to its previous-gen flagships, the OnePlus 3 and 3T, ahead of its current-gen flagship, the OnePlus 5. The former saw the software starting on November 19, nearly three months after Oreo's arrival. The rollout for the latter started in earnest on January 5, about four-and-a-half months after Oreo's release. OnePlus didn't do much in the way of communication with customers, meanwhile — no official estimates, no promises, no meaningful updates or ETAs along the way. The only real communication was an announcement in the company's forums that a rollout was beginning. So if you owned a OnePlus device, all you could do was wait blindly and hope the upgrade might show up on your phone soon. All in all, not a spectacular effort — despite its depressing second-place ranking in this class of underperformers. HTC's fall from grace picks up serious pace this year, with a dismal 49% failing score. This continues the downward trend the company's been experiencing since last year's Nougat rollout. HTC served up Oreo to the unlocked version of its current-gen U11 flagship starting on November 27, just over three months after the software's arrival — not cheer-worthy, by any stretch of the imagination, but not atrocious, either. It's the previous-gen HTC 10 that really sunk the ship: Despite announcements suggesting Oreo rollouts had begun for the unlocked 10 in early January and then again in early February — and a separate announcement indicating Oreo was on its way to the Sprint model of the phone in mid-February — I've yet to find a single U.S.-based HTC 10 owner who has actually received the upgrade. Reddit and other forums are filled with pages upon pages of frustrated 10 owners asking what's going on. HTC has remained curiously silent, with its typically vocal product VP sending nary a tweet since his now-empty-seeming February 11 proclamation. The official HTC Twitter account, meanwhile, has been sending only boilerplate non-responses to agitated inquiries. On the subject of communication, HTC's once-exemplary "Software Updates" page — where the company used to post detailed information about the update status for every model and variant in its catalog — has basically been abandoned since last summer. The company gets a couple of communication points for at least releasing a general plan at the time of Oreo's release, with info about which phones would be upgraded (and a vague "Q4" timeframe for the U11's rollout, which it did meet), but all in all, things have really moved in the wrong direction. For a company that once worked so hard to make upgrades — and, more broadly, customers — a priority, that's sure a shame (if not an entirely surprising transition) to see. One thing's for sure: This ain't the Moto we used to know. The now-Lenovo-owned Motorola disappointed once again with a four-month delay for getting Oreo onto its current Moto Z2 Force flagship (starting with the Verizon version of the phone in late December) and then, critically, for failing entirely to get Oreo onto its previous-gen Moto Z flagship at all within these first six months of the software's availability. Like HTC, the company gets a couple of communication points for at least putting out a vague plan of which devices it intended to upgrade shortly after Oreo's announcement. And Moto does still maintain a software update page where you can search for the update status of any make and model. The problem is that the page is devoid of any real details. Look up the Moto Z, for instance — even the unlocked model — and all you'll see is: "This device will be upgraded to the Android 8 (Oreo) release of Android, pending partner support." The same seems to apply to most every device on the page. Having an information page with no actual information almost seems more insulting to customers than having no information page at all.